Life is filled with difficulties. We understand that and can help. 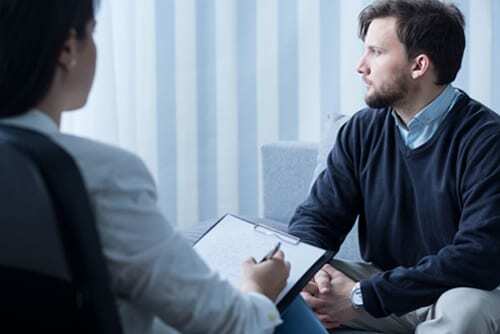 Our licensed psychologists and counselors are dedicated to working with you to overcome personal, emotional, behavioral, academic, work-related, and other issues. We are experienced in providing evidence-based treatment for children, adolescents, adults, and older adults. We want to empower you to live a happier life, even after your sessions end. Treatment empowers people to think and act in new ways that can help them achieve the goals they have set. For those who feel stuck in one of life’s ruts, treatment can help offer strategies to help get unstuck. This may include conversations a bout the past, present, and future. Fear and anxiety are part of life. You may feel anxious before you take a test or walk down a dark street. This kind of anxiety is useful – it can make you more alert or careful. It usually ends soon after you are out of the situation that caused it. But for millions of people in the United States, the anxiety does not go away, and gets worse over time. They may have chest pains or nightmares. They may even be afraid to leave home. These people have anxiety disorders. Depression is a serious medical illness. It’s more than just a feeling of being sad or “blue” for a few days. If you are one of the more than 19 million teens and adults in the United States who have depression, the feelings do not go away. They persist and interfere with your everyday life. Autism spectrum disorder (ASD) is a neurological and developmental disorder that begins early in childhood and lasts throughout a person’s life. It affects how a person acts and interacts with others, communicates, and learns. It includes what used to be known as Asperger syndrome and pervasive developmental disorders. At well-child checkups, the health care provider should check your child’s development. If there are signs of ASD, your child will have a comprehensive evaluation. It may include a team of specialists, doing various tests and evaluations to make a diagnosis. There is currently no one standard treatment for ASD. There are many ways to increase your child’s ability to grow and learn new skills. Starting them early can lead to better results. Treatments include behavior and communication therapies, skills training, and medicines to control symptoms. Bereavement is the period of grief and mourning after a death. When you grieve, it’s part of the normal process of reacting to a loss. You may experience grief as a mental, physical, social or emotional reaction. Mental reactions can include anger, guilt, anxiety, sadness and despair. Physical reactions can include sleeping problems, changes in appetite, physical problems or illness. How long bereavement lasts can depend on how close you were to the person who died, if the person’s death was expected and other factors. Friends, family and faith may be sources of support. Grief counseling or grief therapy is also helpful to some people. While acute pain is a normal sensation triggered in the nervous system to alert you to possible injury and the need to take care of yourself, chronic pain is different. Chronic pain persists. Pain signals keep firing in the nervous system for weeks, months, even years. There may have been an initial mishap — sprained back, serious infection, or there may be an ongoing cause of pain — arthritis, cancer, ear infection, but some people suffer chronic pain in the absence of any past injury or evidence of body damage. Many chronic pain conditions affect older adults. Psychotherapy, relaxation and medication therapies, biofeedback, and behavior modification may be employed to treat chronic pain.